Likely to debut at 2016 Geneva Motor Show. The Fiat 124 Spider's resurrection this year opened up the possibility for a sportiest-ever Abarth. Fiat officials have confirmed that the fourth-gen Mazda MX-5-based Italian roadster will get an Abarth variant. Olivier Francois, Head of Fiat brand and Chief Marketing Officer and a member of the Group Executive Council (GEC), suggested during an interview in September that the Fiat 124 Abarth would be unveiled at the 2016 Geneva Motor Show in March. The Abarth variant will have a more powerful version of the 1.4L MultiAir engine of the standard variant. 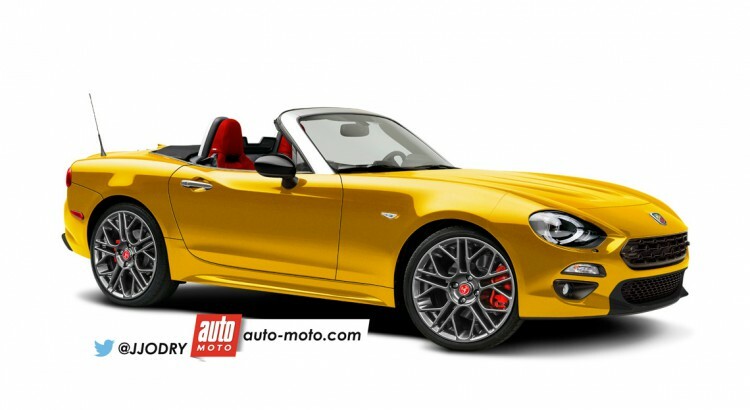 The Fiat 124 Abarth is likely to come with many exterior and interior modifications, as well as some performance upgrades. 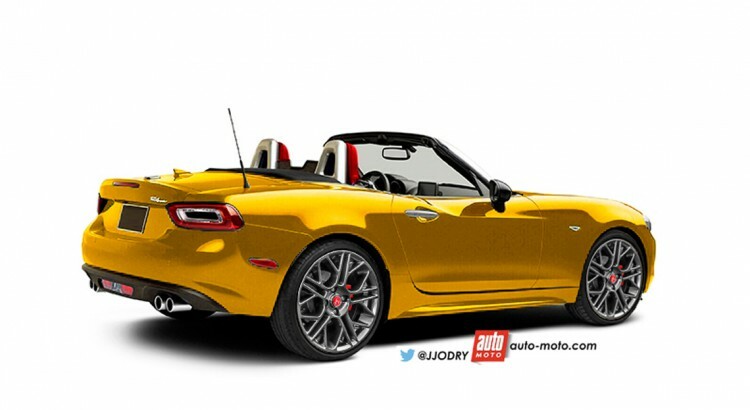 A speculative rendering by Julien Jodry from Auto-Moto previews how the Fiat 124 Abarth will possibly look like. The production-spec Abarth variant could come with several modifications like a more aggressive bumper, sportier grille, big air scoops, sleek side skirts, lightweight wheels, gripper tyres and dual twin exhaust pipes. 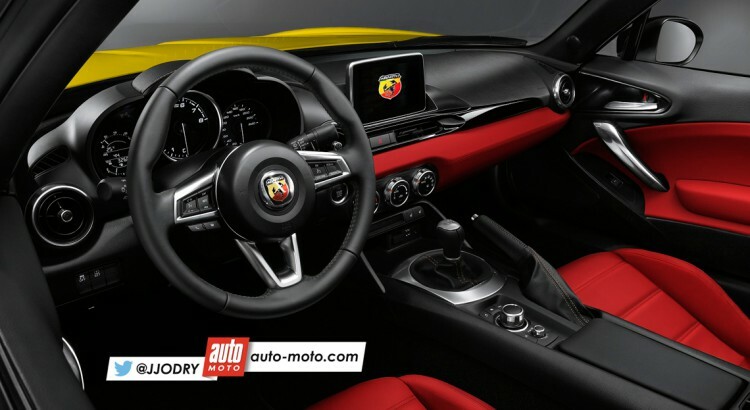 On the inside, we'll likely see sportier gauges and seat upholstery, aluminum accents and Abarth branding. Reports say that the Abarth variant will come with the same 160 hp 1.4-litre MultiAir turbocharged four-cylinder engine from the standard variant, albeit with the maximum power bumped to around 200 hp. Additionally, there will be some modifications made to the suspension to firm up the ride.